We are always at our best when compassion enables us to recognize the unique pressures and singular stories of the people on the other side of our conflicts. When we speak words like vulnerability, empathy and compassion, we at times mistakenly conflate those with weakness, instead of recognizing them as components of an indescribable strength. To be strong in those attributes in the spirit of self is admirable. To be strong in those area in the purpose of the community is motivational. To live out those strengths while being able to navigate a system with integrity is inspirational. The embodiment of that strength lies in a wife, mother, aunt, sister and community leader by the name of Anita Koiyer-Mwamba. Anita was born and raised in Nairobi, Kenya, where her passion for human rights and justice from a national and global view were rooted. 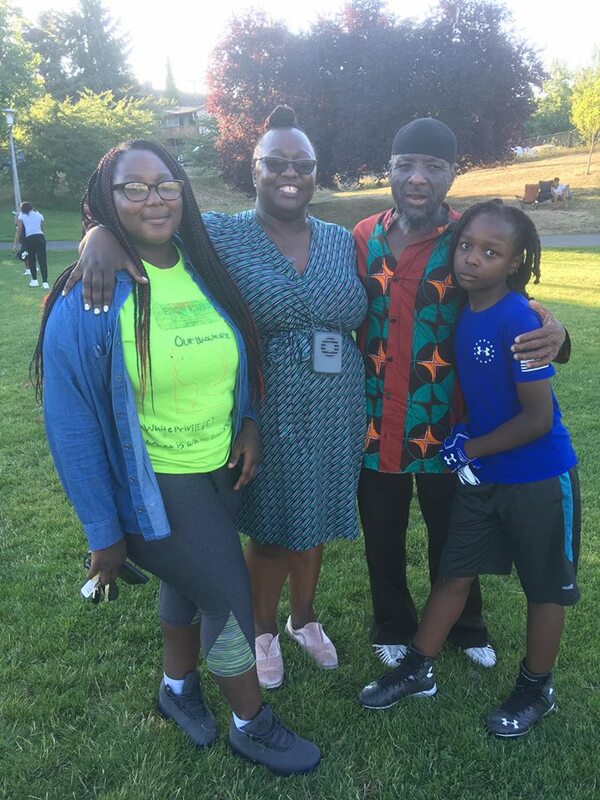 Upon completing her formal education in Kenya, Anita would travel the world a bit, ending up in Seattle, where she would complete her Juris Doctorate degree at Seattle University Law School, sharpening her legal mind for the pursuit of justice for all. To know Anita, though, is to know that beyond a brilliant mind lies a beautiful spirit. Her advocacy for families who have been historically underserved and often times unseen dates back nearly two decades. Anita’s calling card is her ability to bring the community together — specifically, communities who have experienced similar struggle but also have similar hopes. Her constant eye on the commonalities of the struggle we all have, from her lens as a continental Africans living an African-American experience to her advocacy for others who do not have the same voice, is amazing. Anita’s patience and wisdom shine through in any conversation or interaction with her, and her ability to honor everyone from children to elders with poise, dignity, and grace that makes all feel heard and most importantly seen is regal in its execution. She lives the credo of if you want to go fast go alone if you want to go far, go together. Anita takes the time through learning, listening and most importantly loving to make sure everyone moves forward, together. Anita’s greatest joy though comes through being a wife to her incredible husband and from the gleams in her eyes: her daughter and her son. What makes Anita so special is unless you look deeply, the love she shows her own children hardly varies from the love she shows to the parents, children and community of those she’s in service to. Anita Koyier-Mwamba is a community treasure. She is an international gift and she walks in grace as a woman who is Black History, today!